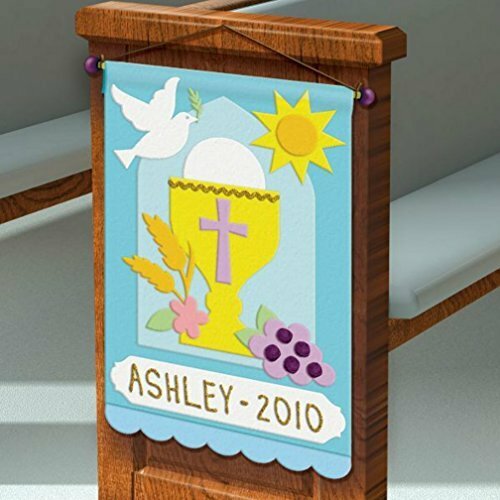 Bring new life to your blessed celebration! 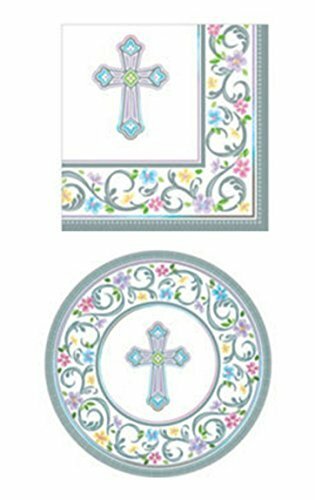 Our Blessed Day Religious Dessert Plates feature a lovely pastel cross surrounded by floral filigree. 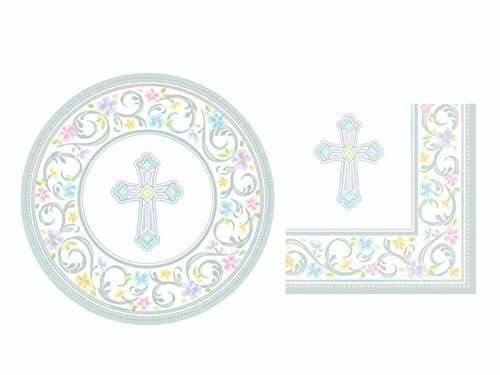 Our napkins feature a colorful, floral border with a cross in the middle. 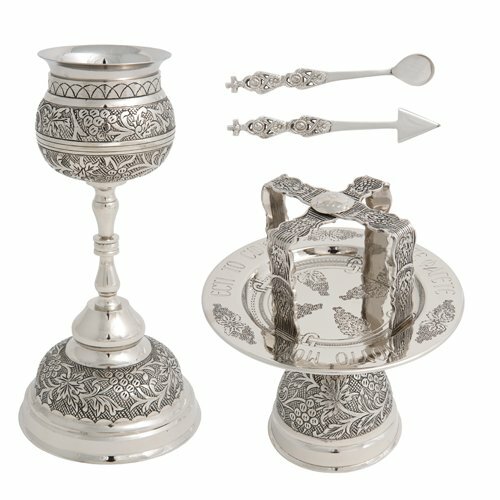 Perfect for adding a finishing touch to your elegant table setting! The perfect Party supply 72 piece set for 36 people. 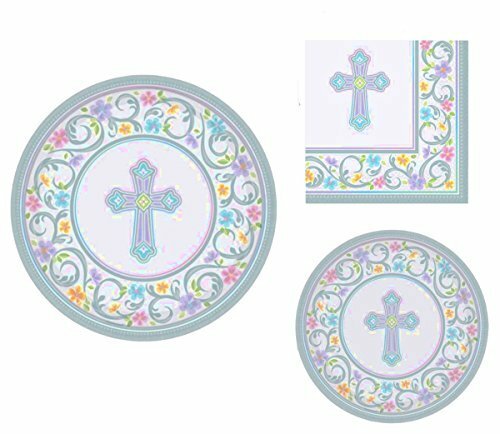 This set includes 36 - 7 inch dessert plates 36 Beverage folded napkins - 5 inch square Beautiful Cross Design is elegant and will fit into any Easter, Baptism, First Holy Communion, Confirmation, or Dedication themed celebration. These are perfect for a child or adult party. 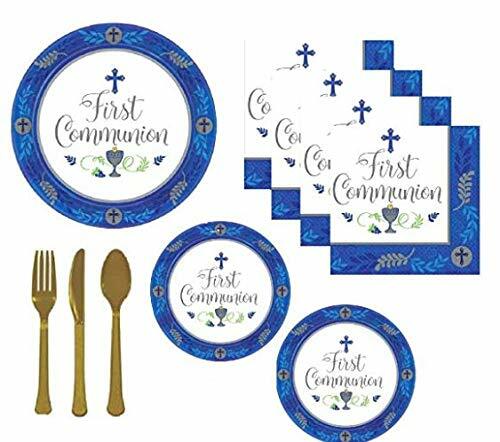 Add our Devotion Communion Luncheon Napkins to your tables! 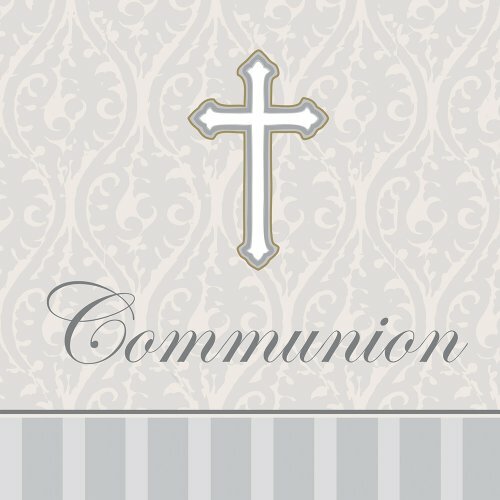 Each napkin features a gray striped border with gray filigree background, cross, and the message "Communion". Measures 6.5" x 6.5". Includes 16 - 3 ply napkins per package. 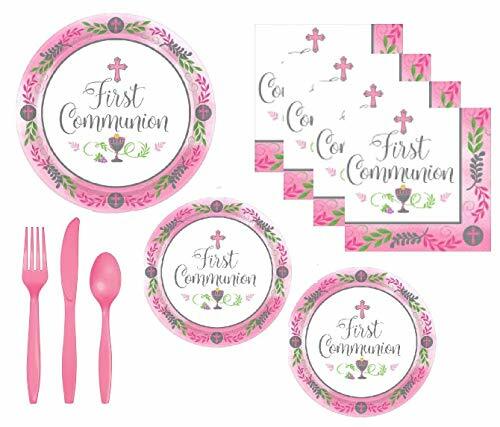 Disposable First Communion Party Supplies Set for 18 guests. Includes dinner plates, dessert plates, large napkins, and premium heavy weight cutlery set.